Jo glanced at the Doctor. 'Things must be pretty serious then.' 'They are, Jo. Very serious indeed. The whole of the Universe is in danger.' In this amazing adventure, Doctors One, Two and Three cross Time and Space and come together to fight a ruthlessly dangerous enemy - Omega. Once a Time Lord, now exiled to a black hole in space, Omega is seeking a bitter and deadly revenge against the whole Universe...Katy Manning reads Terrance Dicks' complete and unabridged novelisation, first published by Target Books in 1975. 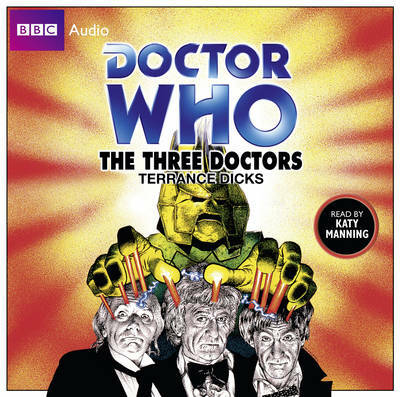 'BBC Audiobooks has chosen well with its books and has taken the right approach with its readers...they benefit from new music and sound effects' - Doctor Who Magazine. 4 CDs. 3 hrs 32 mins.